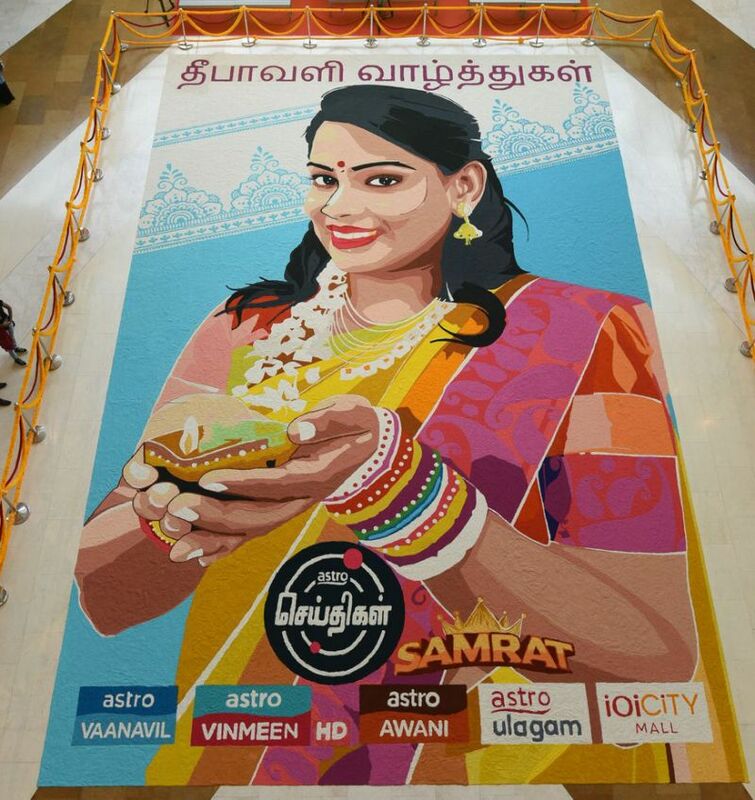 With Deepavali round the corner, Malaysian Pay TV broadcaster Astro Seithigal has created the largest kolam ever made in Malaysia. The piece made it to Malaysia Book of Records – as the “Biggest Portrait Art Made of Multi Coloured Grains”, according to local media reports. The award certificate was presented to Dr C. Rajamani, Astro’s senior vice president, Indian customer business, yesterday, October 29. This kolam measures 487.7 square metres, featuring a lady holding a lit Indian oil lamp. It will be on display at IOI City Mall, Putrajaya until November 2. The creation had taken a team of 20 people 10 hours to complete. “Congratulations to all the volunteers and the Astro Seithigal team who made this vast and beautiful kolam, making it into the Malaysia Book of Records,” Rajamani said.